I’ve created a new page, called Chinese films – learning Mandarin. It is essentially to provide a spreadsheet of the films that I have watched in Mandarin, all but one of which are originally Chinese movies made in Mandarin (one is half in Japanese). I hope this will be an excellent resource for other students of Mandarin and I expect to update it periodically, so that by the end of my experiment it will include dozens (probably over a hundred) films, with well calibrated ratings, in addition to objective information. You can access the page by clicking on the Menu button above (3 lines), then viewing the submenu under Sources. Movies are definitely the video source that I enjoy the most. They’re probably not the most effective learning source – I would give that prize to Qiao Hu, for reasons I explained in my Week 13 post. But I’m not sure I could even sustain this experiment if I had to watch a ton of Qiao Hu, because it’s no fun, whereas I fully enjoy watching movies. It’s been particularly interesting and enjoyable to delve a bit into Chinese cinema, in particular some of the classics. Though I originally thought I’d be watching a lot of Hollywood children’s movies, since these would be easier for me to understand in Mandarin–and I still plan on giving that a try, as soon as I get my order of Mandarin dubbed DVDs in June–instead I’ve gotten greater insights into Chinese culture by watching amazing films, only one of which I had seen before my experiment. 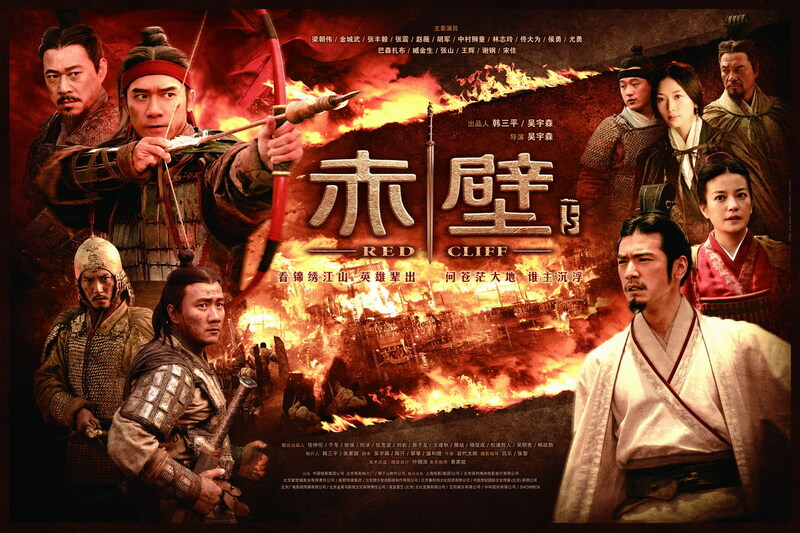 I am currently watching Red Cliff, which is one movie broken into two parts. They were released and shown separately in Asian cinemas, and if I’m not mistaken combined and shortened for US cinemas. I’m watching the originals, which total nearly 5 hours. I’m watching them without subtitles, so I understand very little of what is said (perhaps 2%, according to my latest estimate). Even so, it’s so well made that it’s maintained my interest and I’ve enjoyed it nonetheless.